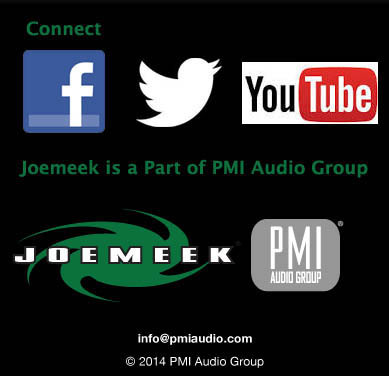 When using Joemeek products with MOTU products, you need to set up the MOTU carefully. Work through the MOTU Audio Setup software following all the procedures outlined below. Here we use the MOTU 896HD as an example but the principles should hold good for some other MOTU products. If after reading this you still have problems, please contact your MOTU dealer. Joemeek products output simultaneously on both Optical and Coaxial connectors and indeed, both can be used together to feed more than one device. Where fitted ( oneQ and twinQ ) the AES/EBU output (XLR connector) is also available simultaneously. (You could connect this XLR output to the Coaxial SPDIF input of the MOTU using a suitable XLR to RCA phono cable, although there is no particular advantage to using the AES/EBU output with a MOTU 896HD). It is vital to do this correctly, otherwise the result will be either a horrible noise, or total silence! The Joemeek sample rate is set using the two pushbuttons on the rear of the unit. 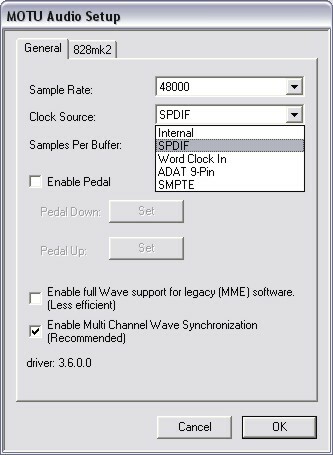 The MOTU sample rate has to be set using the Audio Setup software. Both the Joemeek and the MOTU must be set to the same sample rate ! And yes, you do have to do one of them! It doesn't really matter which but whatever you do, make sure the sample rate is correct as outlined above. 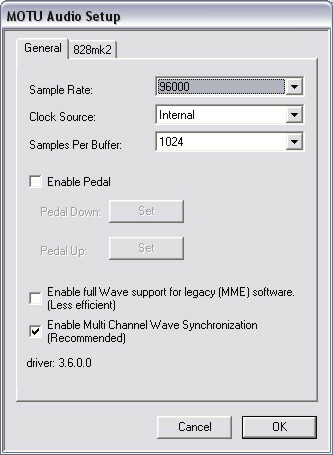 NB: You must also set the MOTU sample rate to match the Joemeek sample rate as outlined above. The Joemeek will automatically synchronise to the MOTU word clock and no further adjustment to the Joemeek is necessary. 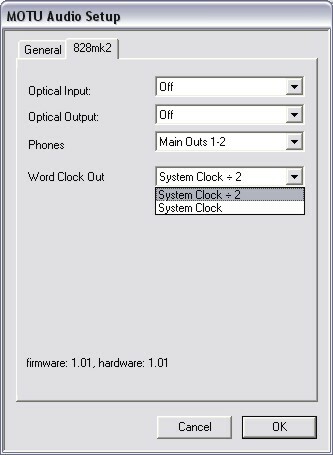 Connect the Joemeek oneQ word clock output to the MOTU word clock input using a BNC to BNC cable. For further information on using MOTU products, please read your MOTU user manual and/or consult your MOTU dealer. 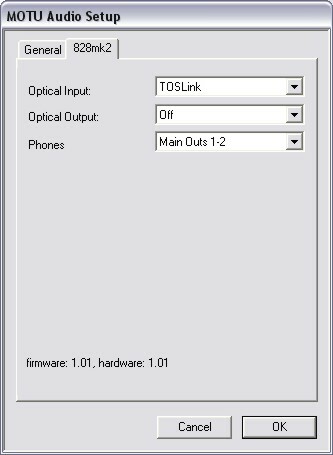 Q: Connecting my twinQ 's AES/EBU output to a MOTU 896HD causes very high level of hiss, even with input and output gain turned all the way down. Sending the outs to the MOTU as a line level signal sounds ok.
A: Many MOTU users seem to have trouble with this but it is simply a matter of setting up the MOTU correctly. Do not assume that there is a fault with either the Joemeek or the MOTU! Please refer to our separate application note about setting up a MOTU (above) - the principles explained there will mostly likely apply to other manufacturers' digital products as well. Q: The Meek's digital output has a loud audible hiss but no audio signal is heard. For cases # 1 to # 5, please study our technical note setting up a MOTU and/or contact the supplier of your receiver. In case # 6, note that the Joemeek digital output resets itself and initialises the data stream when the power is turned on. 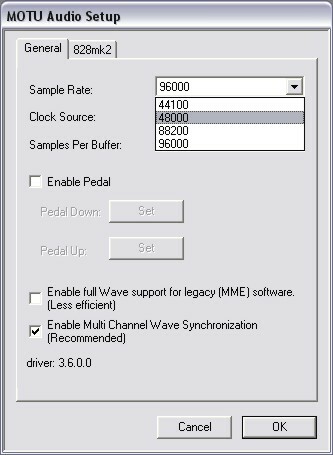 If you plan to change the sample rate on your Joemeek, switch the power off first, change the switches and then turn the power back on. This should avoid any bursts of digital noise. Only # 7 constitutes a fault with the Joemeek. 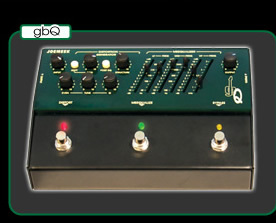 Q: The digital output from my oneQ works OK but the audio signal seems noisy, whatever the sampling rate and even with the input and output gains turned right down. A: How much noise did you get and was it assessed by measurement or listening? When measuring digital noise remember you have to subtract 18dB from the reading. This is because the digital noise floor is quoted relative to Full Scale Digital (+18dBu) and not 0dBu as with analogue. So if you measure a noise floor of -75dBu, the relevant figure is -93dB FS. Remember also that your measurement must be limited to the audio band, ie: 20Hz to 20kHz. Digital noise goes way up in frequency and if you measure the full bandwidth of the noise you will get a much higher reading. A Neutrik analyser for example has a button that selects filters to limit response to audio frequencies. Without such filters you may obtain a noise measurement which is 30dB worse! Remember also that the noise figure you get will be no better than the D/A converter you use. We measure the performance of Joemeeks using an RME D/A with a noise floor of -98dBu, together with a Neutrik Audio Analyser. Joemeek digital outputs repeatedly give a noise figure of -76dBu, which is -94dB relative to FSD. Even relative to average digital recording levels this still represents a Signal to Noise ratio of better than 80dB, which is itself typical of analogue outboard gear such as channel strips and mixers. The digital noise is actually slightly worse at 96kHz than at 48kHz, because the electronics is working faster and the burden on the power supply is greater. However audio distortion is lower, because there are more samples per cycle of the audio waveform. That said, the difference between 96kHz than at 48kHz is only a couple of dB. I'm trying to connect it to an EMU 1820m using the optical connection and can't get it to work. 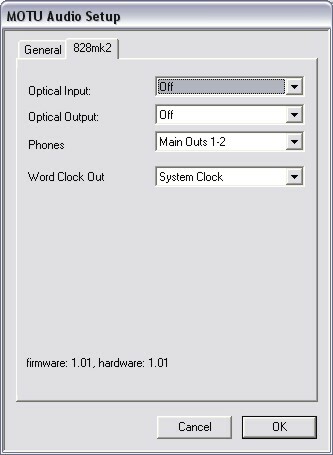 The guys from EMU said that I have to set the card to sync to an external clock provided by the ADAT (in this case the oneQ ) but the EMU doesn't lock. 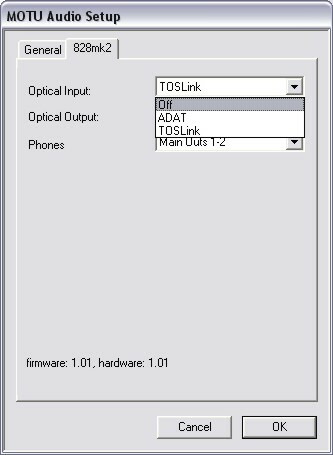 Is it because the optical output is not sending an ADAT signal but an SPDIF signal instead? A: Yes, the Joemeek Optical output is SPDIF, not ADAT. Q: Does the type of cable used affect the amount of noise? A: Sometimes a digital cable can affect noise - it shouldn't but it does! If the cable impedance is wrong the signal reflects back down the cable and interferes with the transmitted waveform. This accentuates jitter, which can manifest itself as noise as well as distortion. It's amazing what you can get away with (providing the cable isn't too long) but you should always use decent quality cables and connectors for reliability. If you hook up the coaxial output with two bits of wet string then expect problems! Grounding - either ground loops or inadequate ground connections - can affect performance. If you have a problem and your receiver has an optical input then use this and disconnect any other digital cables. That way grounding issues are avoided. Opt for optical. That is why it was invented! Q: I'd like to upgrade operational amps TL072 by OPA2604 or TL082, what do you think of this? A: Nothing! Neither of the cited op-amps is a potential upgrade, nor are a great many others. In any case, I would not want to encourage PMI customers to invalidate their warranty by pulling chips out! Let me explain why we use TL072's. Over many years we have auditioned every credible op-amp IC on the market, conducting exhaustive listening tests, involving a great many people and using extremely high-fidelity sound sources, amplifiers and monitors. Despite listening to a lot of chips that claim to be specialist audio IC's, time and time again we keep coming back to the conclusion that the TL072 is still far and away the most natural sounding op-amp. Note that includes the ubiquitous and power-hungry NE5532, which despite sounding a little more solid at LF, is slightly harsh and lacking in detail in the upper mid. The only thing wrong with the TL072 is that it is slightly noisier than some newer IC's. Even so, the noise floor of a single TL072 at unity gain is -108dB, which is pretty respectable! By far the most significant contribution to noise is the microphone preamplifier (for which we use the highly transparent Burr-Brown INA217) and the noise floor of all the combined TL072's in a typical JOEMEEK signal path is still way below that of the mic preamp. And, may I remind you, the noise floor of the preamp is pretty much fixed by physics and the use of silicon-based electronics. We believe the only way to improve significantly on the humble TL072 would be to use entirely discrete circuitry, which would mean a huge increase in complexity and cost. Q: When I'm looking at the meters to see how much compression is being applied, it doesn't seem to register the release time correctly. Even if I set release time to longest, which I think is supposed to be 3 secs, the meter returns to zero within about a second. My experience with other compressors (including a Joemeek VC1Q) is that there is a gradual, smooth decrease. I'm not sure if this is a metering issue, or if the compressor is behaving that way. A: The compressor behaves much as it ever did, it is the metering that differs. The old Meeks used the control voltage to the photocell as a measure of gain reduction. Unfortunately the relationship between control voltage and gain reduction in a closed-loop, photoelectric compressor is far from linear, so this method results in a measurement of Gain Reduction (GR) that is at best approximate and at worst, wildly inaccurate! On some models the setting of the "SLOPE" control was taken into account but the calibration was still far from reliable. Unlike the old Meeks, the Gain Reduction metering in the new Meeks actually does measure gain reduction! This is done by comparing the output from the gain cell directly with the input to the gain cell. Sophisticated circuitry then performs an analogue computation in real time and displays the result on the GR meter. The resulting measurement of GR is accurate to within 1dB, for input levels ranging from less than -20dBu to more than +10dBu. Now the consequence of this method is that if you suddenly take the input signal away, there is no input or output to compare and the net result is zero, ie: no reading on the GR meter. If on the other hand, you quickly turn the COMPRESS (ie: Threshold) control anticlockwise, so that the signal falls below the threshold of compression, you will see the GR reading decay slowly according to the setting of the RELEASE control as you would expect. In other words, you get accurate GR readings as long as the signal is present. When it isn't, there is no Gain Reduction and it doesn't matter! Q: Example what is the slope on the EQ section on the twinQ and threeQ ? What is the Q value? We prefer to use a "Bell" curve at LF and HF because it avoids boosting subsonic and extreme ultrasonic artifacts.  do not tie the Ring to the Sleeve or you will ground the Return input, ie: you will not have an input! You could instead just connect your external preamp to the Meek's line input. Although you would then be going through another gain stage, at unity gain with respect to a line input, the Meek preamp is barely breaking a sweat at 25dB of gain. With an EIN of -128dB that means the noise floor is -103dBu, so noise is hardly an issue - with a microphone you can expect all the noise to be coming from the other preamp! Of course that does not avoid adding the "character" of the Meek preamp - always supposing that's discernable in the presence of another preamp (most people seem to find the INA217 pretty transparent). Q: What is the difference between Hum and Noise? A: I'm glad you asked that, because it's a constant cause of confusion for us when users complain about "noise" problems! "Noise" (or "hiss") sounds like escaping steam and is present over the entire audio spectrum from 20Hz to 20kHz. It results from random thermal vibrations in the electronics at a molecular level and is an inescapable consequence of physics and the nature of the universe we live in. We take every precaution in designing the electronics to ensure that noise is minimal and will not be noticed in normal operation. If you leave the inputs unconnected and crank up the Preamp Gain, Output Gain and the volume on your monitor amp, you will definitely hear some noise. However this is hardly "normal operation", so don't come crying to us about noise! As explained in the User Guides, what matters is "signal-to-noise ratio" ("SNR"). On the other hand "Hum" (or "buzz") sounds like a flying insect. It is caused by radiated electromagnetic fields from mains transformers and mains wiring and the frequency of interest is in the range 50Hz to 120Hz only. The problem is often aggravated by "earthing" or "grounding" issues in the studio. Ground loops created by multiple wires to other pieces of equipment act as aerials for detecting these radiated electromagnetic fields. A small amount of hum is caused in the twinQ by the field from its own internal mains transformer but this should not be audible in normal use. This hum is slightly louder on channel 2, simply because the electronics is closer to the transformer. If you insist on listening to the "noise" in your Meek, remember that apparent levels of both "Hum" and "Noise" will be improved considerably by "terminating" the mic input. To do this, take an empty XLR female connector and solder a 150 Ohm resistor between pins 2 and 3; replace the shell and plug it into the Mic Input. As far as the Meeks are concerned (with the "Meequaliser" and Compressor switched out) any "Hum" should be roughly similar in volume to the "Noise". If you think you have a problem, please take care to distinguish between "Hum" and "Noise" - it makes it much quicker for us to diagnose the cause! Remember to disconnect the inputs to your Meek to see whether the noise or hum goes away, before you blame the Meek! Q. Using dynamic microphone such as SENNHEISER MD421 or AUDIX OM3xb I get hum noise when enabling IRON mode. No problem using static microphone. Is there anything I can do to avoid that? A. Unlike Condenser microphones, Dynamic mics contain coils of wire, which make very good aerials for detecting electromagnetic fields. Try to ensure that the microphone is not picking up hum from other pieces of equipment, such as guitar amplifiers, lighting controllers, computers, etc. Try moving the equipment and/or the microphone and also using a shorter mic cable. Check that the microphone you are using has a balanced output and that the cable is wired for balanced operation. Correct balancing is essential for hum rejection in the cable, although it has no effect on hum picked up by the microphone cartridge itself. Remember also that pressing the "IRON" switch introduces another 3dB of mic gain, so any hum present will get louder for that reason. Q. I'd like to know where the transformer is in audio path when IRON engaged. Does it bypass INA217 op amp? If not, is it before or after INA217? A. 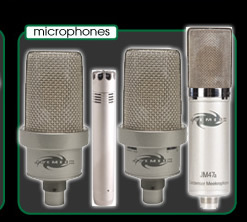 The "IRON" microphone transformer is before the INA217 and its secondary winding is impedance matched to the input of the INA217. The INA217 is the preamplifier and always remains in circuit. Q. Using "COMP LINK" links "COMPRESS", "ATTACK" and "RELEASE" controls. But what about "SLOPE" and "MAKE-UP GAIN"? With those I can destroy the stereo image! Why aren't they included in "LINK" mode? A. The LINK mode uses one compressor side-chain to control the gain cells in both channels, to prevent the stereo image wandering as the programme changes. This is quite easy to do electronically but the "SLOPE" and "MAKE-UP GAIN" controls are in the main signal paths. To have one set of controls for these would require multi-gang potentiometers and a much more complicated circuit board - with possible consequences for noise and crosstalk. So the compromise method we use ensures the integrity of the stereo image - you still have to set the controls equally for "Left" and "Right" channels but for stereo work that's no different from the EQ controls or the PREMP GAIN or OUTPUT GAIN controls. The twinQ is really a two-mono-channel device, which can also be used for stereo. For dedicated stereo work there are other stereo products in the range, with single sets of controls. Q. As I opened my twinQ, I tried to understand how you designed it. I guess the compressor has been built with TL072, JRC13700D and ZTX??? I bet the photoptical stuff is that ZTX??? Can you confirm that the opto circuitry is used only in the side chain of the compressor? A. The photoelectric gain cell is actually a specialist device that you missed - possibly because it does not look like a regular IC. We can assure you that the ZTX transistors are only in the control side-chain and not in the main signal path. The only devices in the main signal path are TL072's, the INA217 preamp and the gain cell's photo-resistor. In fact the JRC13700D is part of the GR Meter circuit. So there! Q: With the same music signal going into a twinQ and a twinQ (same Gain control settings) the reading on the twinQ's VU meter is different from the threeQ 's bargraph meter. Why? A: This is simply because of the difference between the two types of meter. With a steady tone both types should in fact read the same. The difference arises with a music signal because of the way the two kinds of meter respond to the dynamics of the music. The threeQ's bargraph meter is peak reading or "PPM", ie: it has a fast response and shows the instantaneous levels of peaks in the music. The twinQ's mechanical "VU" meters have a slower response designed to display the average level of the program material - the peak levels may be considerably higher than this, depending on the dynamics of the music. This is why the twinQ also has "PEAK" LEDs to warn of the presence of large transient peaks in the music. Note that there are sensitive mechanical meters with a fast response designed to show PPM but these are specialist instruments and usually very expensive; most mechanical meters are of the slower VU type. It is also possible to build a bargraph meter with the response times of a VU meter. However in all JOEMEEK products, bargraphs are PPM and mechanical meters are VU. Q: The output level from my analog outputs seems different from what I get from the digital outs. Is this correct? A: Quite possibly, because of the different types of metering and because of a fundamental difference in approach between analogue and digital working. Many people assume that digital recorders and DAWs should be driven up to maximum - so that all 24 bits of sample data are used - in order to get the maximum dynamic range and signal-to-noise ratio from the digital system. On a digital recorder or DAW, the top of the bargraph meter represents "FSD" or "Full Scale Digital" - in other words, the onset of digital clipping! These meters are typically referenced such that -18dBFS = 0dBu, so in analogue terms, FSD is actually equivalent to +18dBu, which is a very high level and which in most analogue gear is within a few dB of clipping. Signal-to-noise ratio and distortion in most analogue gear are optimum at around +4dBu, which is why most meters are calibrated such that "0" VU corresponds to +4dBu. Now whereas digital users like to see their bargraphs bouncing up to within a few dB of the top, most analogue users work at more restrained levels and analogue meters generally cover a smaller range. In other words, while a DAW meter may cover the range from -40dBu to +18dBu, analogue meters may only cover the range from -24dBu to +12dBu. This problem is compounded when (as with the Joemeek twinQ and oneQ ) mechanical VU meters are fitted that only cover the range from about -16dBu to +8dBu. Q: How does the "0" reference on a digital recorder correspond to the meters on a twinQ? A: As far as the JOEMEEK digital output module is concerned, Full Scale Digital = +18dBu. We settled on that, partly because many other manufacturers do so and partly because of the variety of metering and Peak LEDs used in the JOEMEEK products. The twinQ and oneQ have a combination of analogue VU meter plus Peak LED. The meter is set so that 0VU = +4dBu, with a maximum reading of +4VU (ie: +8dBu). The Peak LED is set at +11VU (ie: +15dBu). This combination seems to work well: with punchy tracks the slow-reading VU meter shows an average level just into the red, while the Peak LED just flashes now and again. The Peak LED lights at about 6dB below clipping in analogue terms, so if the digital output clips at +18dBu, our "PEAK FSD" LED tells you you're 3dB below digital clip. This seems like a reasonable compromise because digital people want to drive their digital recorders practically to the top whereas analogue people do not. The sixQ is different because it has a peak-reading bargraph, with steps at 0VU, +4VU, +8VU and +12VU. Again 0VU = +4dBu, so this translates as +4dBu, +8dBu, +12dBu and +16dBu. The top LED in the meter is labelled "FSD", so if the digital output clips at +18dBu, the top LED coming on tells you you're 2dB below digital clip. (Actually the digital module clips at about +18.5dB, so you're really 2.5dB below clipping). In any case, users should set up record levels using the meters on their digital recorder or DAW. Some manufacturers recommend when using their digital recorders that record levels should float somewhere between -15dBFS and -2dBFS, so that should correspond well with the top 4 or 5 LEDs on the sixQ bargraph meter. The yellow band is the desirable range of levels for digital recording. Q: I've heard that the occasional digital "over" does no harm and having the signal level hit FSD makes for maximum impact. Why do you insist on keeping record levels below FSD?